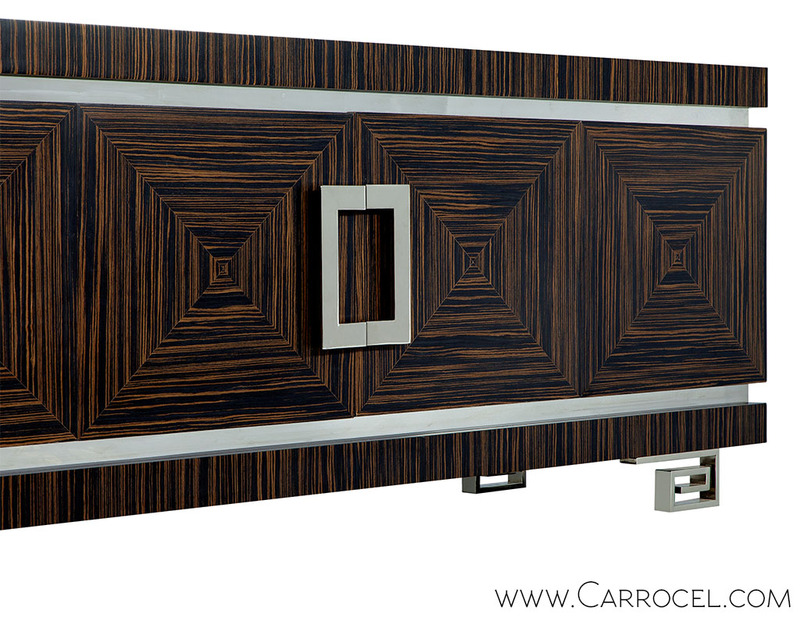 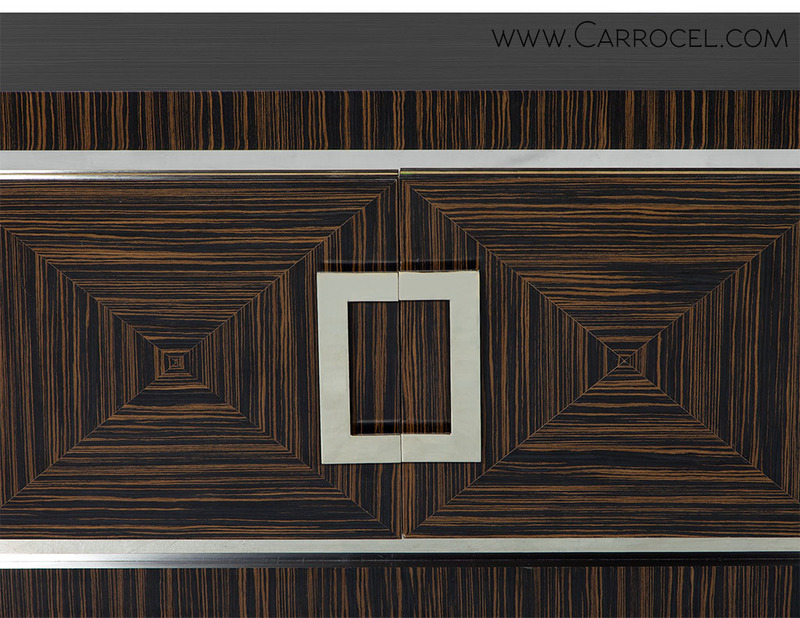 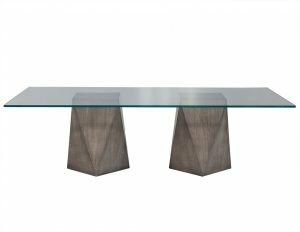 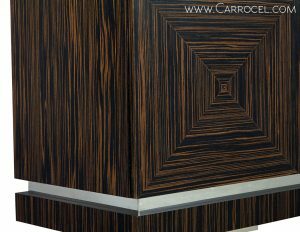 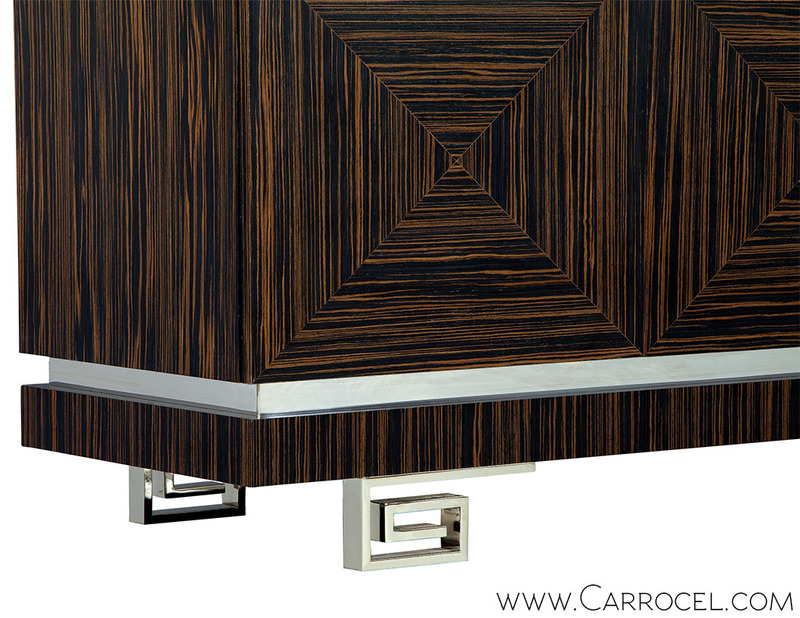 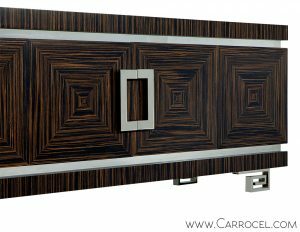 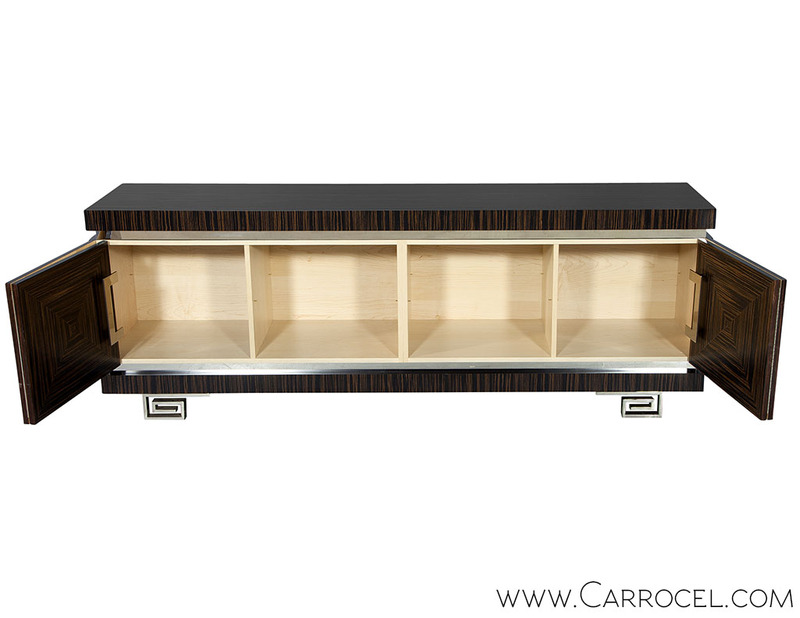 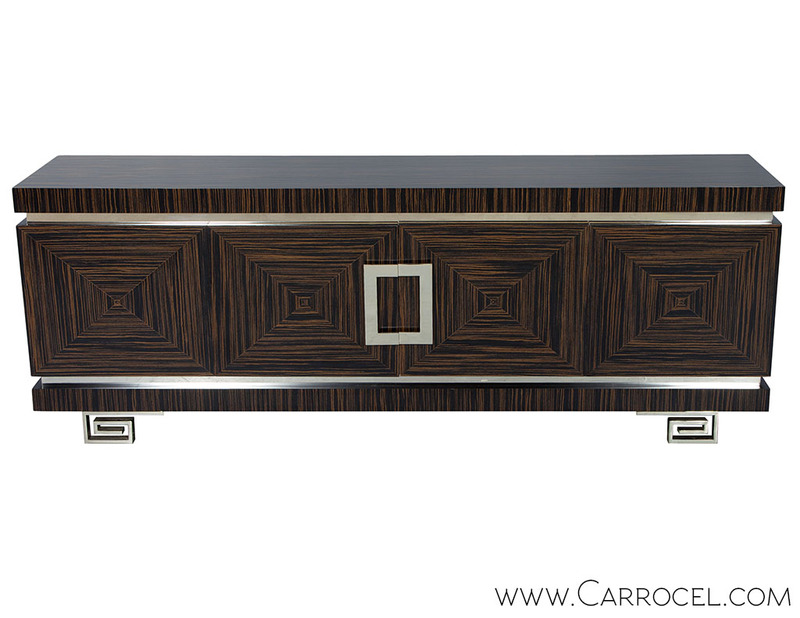 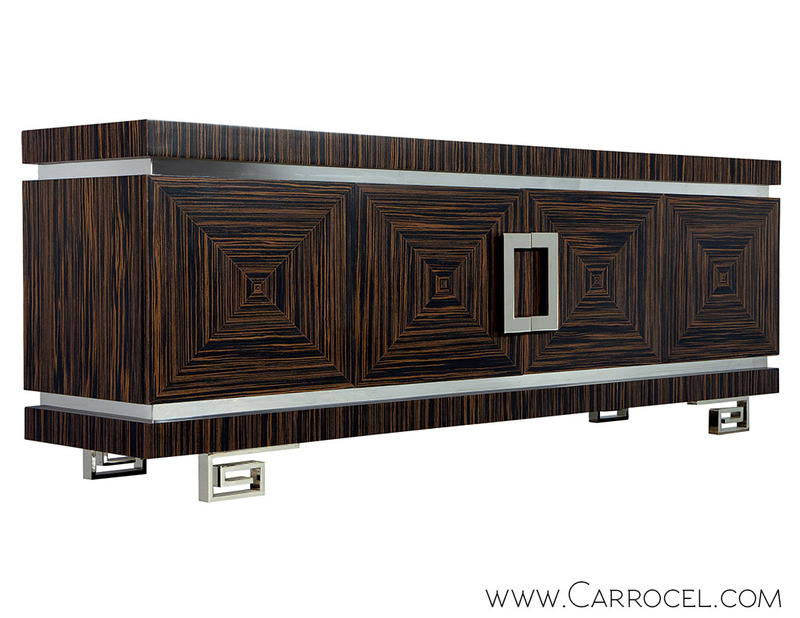 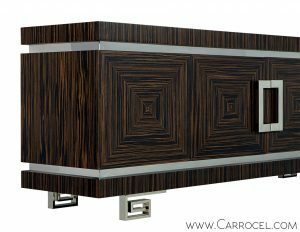 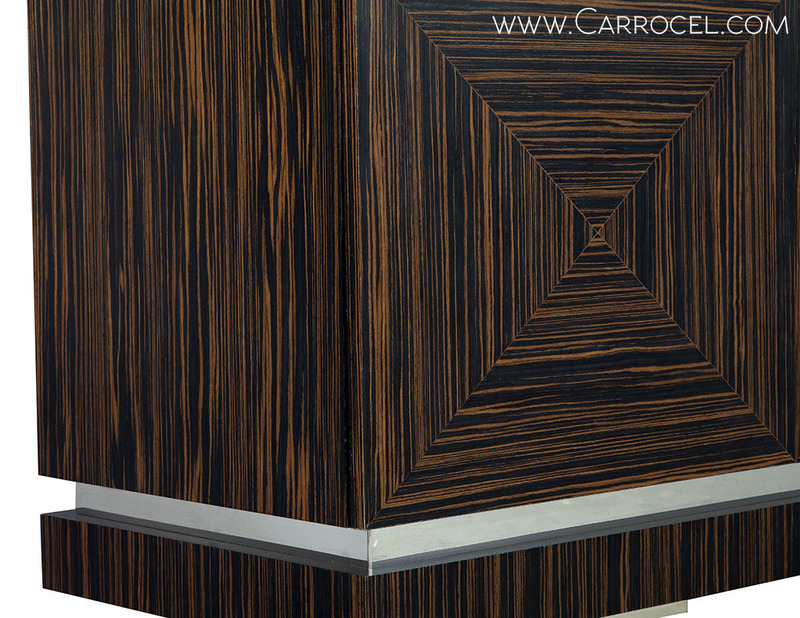 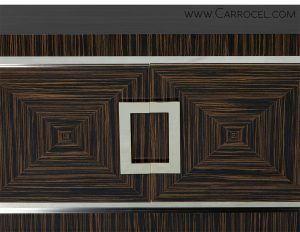 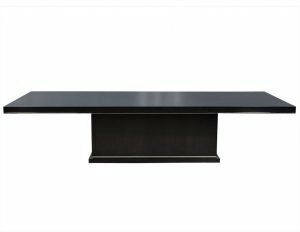 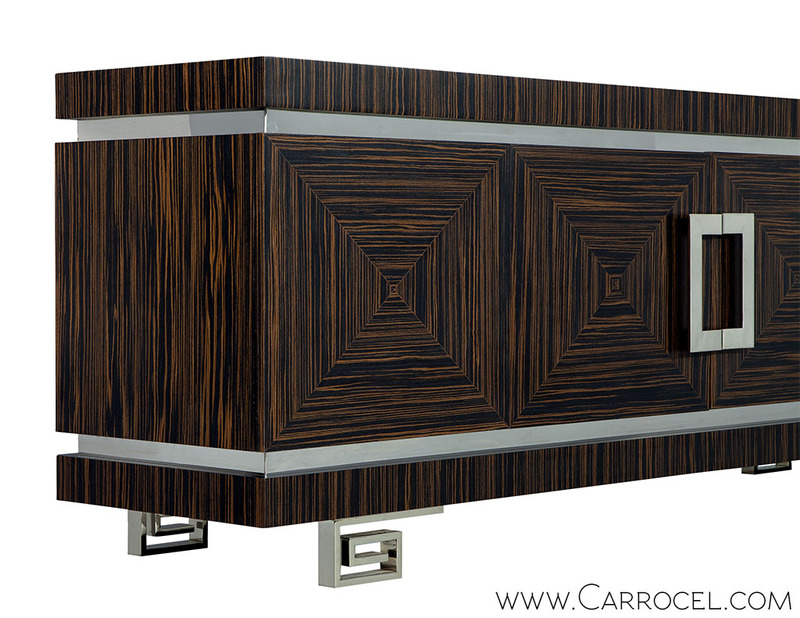 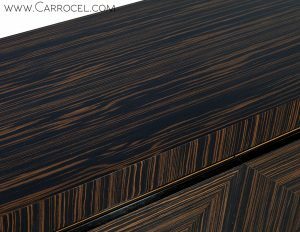 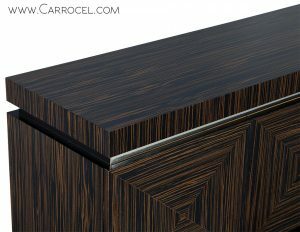 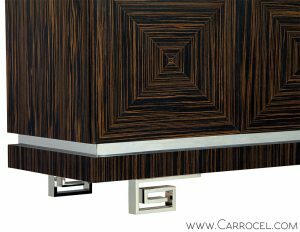 Treat your dining area to this custom built macassar ebony buffet, its wooden structure generously complemented by polished stainless steel. Divided symmetrically along the vertical plane, the buffet features a top surface, central storage volume with four shutters, and a base that mirrors the top, all projecting slightly from steel bandings. 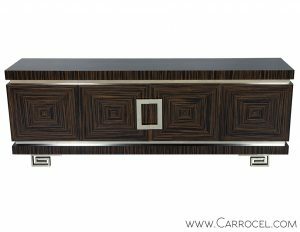 The handles of the central shutters and the legs are modelled on Greek key lines, which, together with the veneer pattern on the fasciae, brings an Art Deco flourish to the piece.